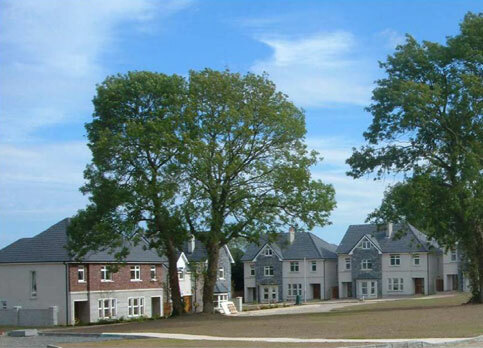 This development of 75 houses and a 76 Bed Nursing Home is located on the East side of Caherconlish Village, Co. Limerick. Storm water which required an attenuation system in order to control the storm water discharge from the site to a stream located adjacent, that runs to the Groody River. The foul water from the development is discharged to an on-site pumping station in. The sewage is then pumped to an existing County Council gravity system located on the main road.